By Script by Paul Nelson, edited by Tony Andrea. Video produced and directed by East End Productions. The West Side of St. Paul originally got it's name not from the fact that it sits west of St. Paul, but because at this point of the river, the Mississippi bends from its north-south bearing, to an east-west, placing the West Side on the left or 'West' side of the river. In fact, this is the only St. Paul neighborhood on the ‘other’ side of the Mississippi River. 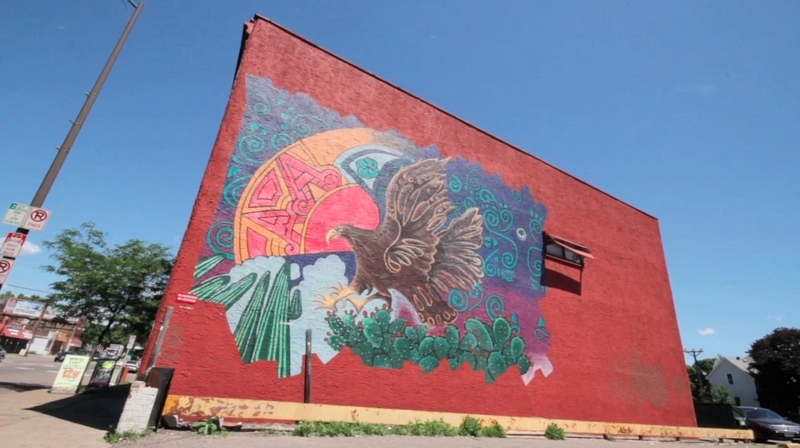 It took a long time for this area to become part of the city, partially because of geography and partially because this land was Dakota territory until treaties were signed in 1851. After that it was first ferry crossings, then bridges like the early woodend Wabasha street bridge that helped the early community grow. 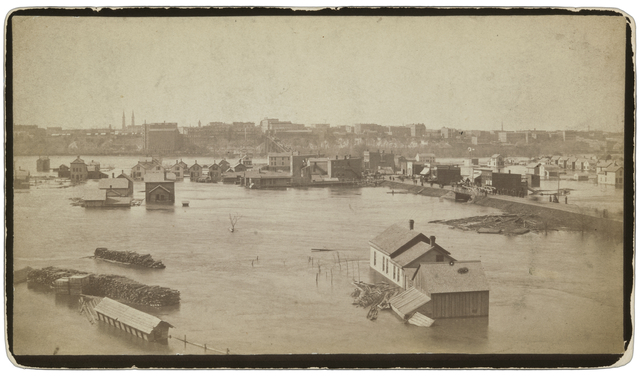 As the low lands near the river were threatened by frequent flooding, most businesses and housing sought locations higher up the bluff. The initial Dakota, French-Canadian, German and Irish immigrants were met by subsequent eastern European and Russian Jews and later large Mexican communities. While it became it’s own city of West St. Paul at one time, it has since been reincorporated into the larger city of St. Paul. 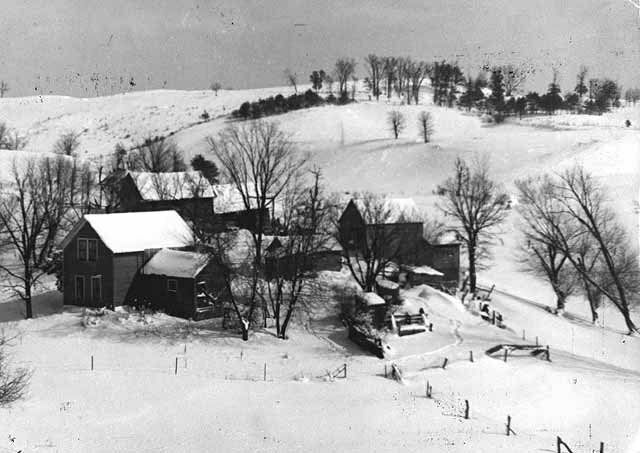 Business such as the Yoerg and Bruggeman Breweries found favorable conditions along the caves of the sandstone bluffs. Other manufacturing industries grew as did the working communities that supported them. Early on it was the wealthy who built their more affluent housing along the top of the bluff and much of the poorer and working class who built below. But over time there has been a more equal distribution of classes throughout the West Side. 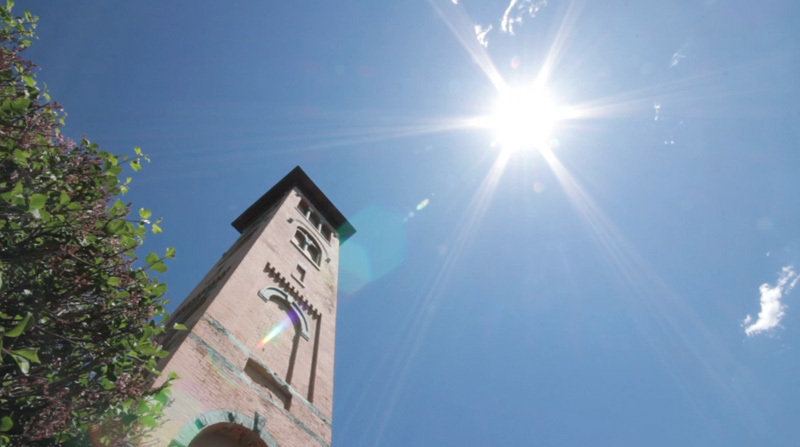 Such churches as the Church of St. Michael at 389 S. Robert St. reflect the cultural evolution of the West Side community. Once Irish Catholic the tower has since been renamed Torre de San Miguel, in recognition of the Chicano community that now resides there. 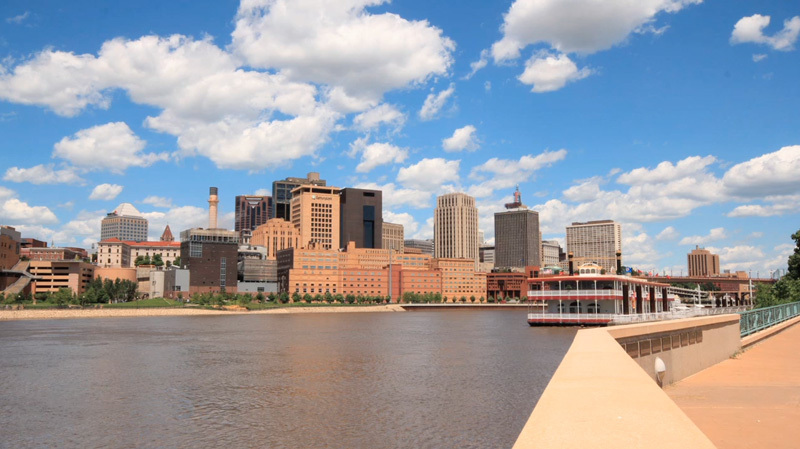 Other notable locations include the Omaha Swing Bridge, and Harriet Island, which is one of St. Paul’s most popular festival sites and provides a grand view of the city. 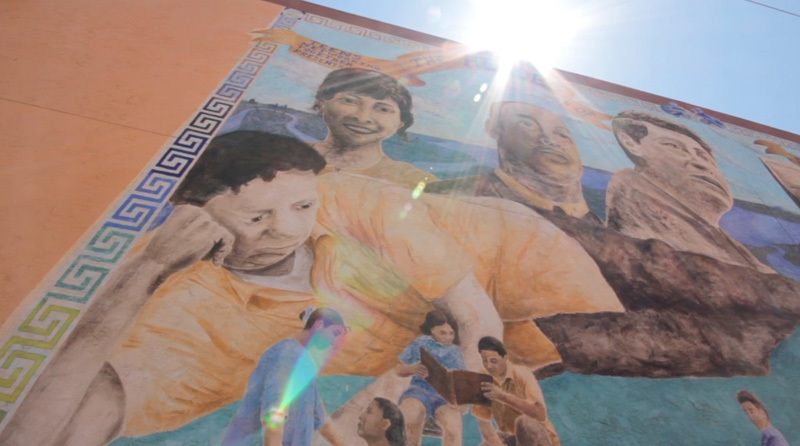 "Today, much of the heart of the West Side can be seen in established Mexican segments of the neighborhood, where the culture thrives." "In fact, the West Side's Cinco de Mayo fiesta is one of the ten largest in the United States." There are also Syrian and Lebanese influences that make the West Side even more unique. 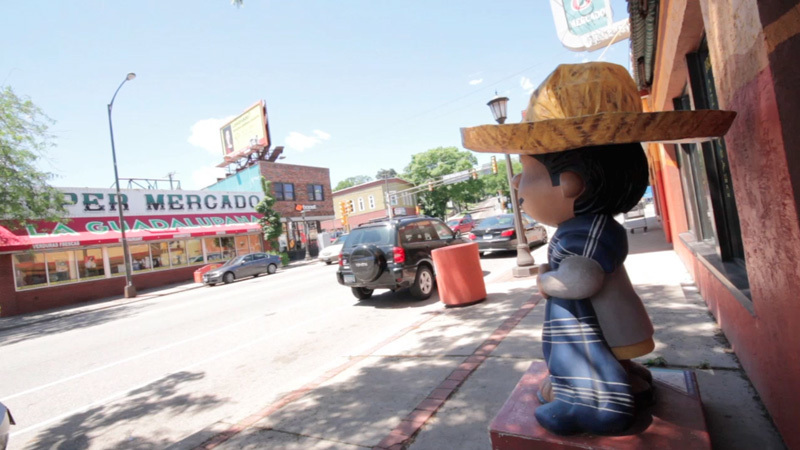 Today the West Side remains a part of St. Paul, but it’s distinctive not only in the geographic location of where it resides, but also in the culture of the communities that have helped to create it. Script by Paul Nelson, edited by Tony Andrea. 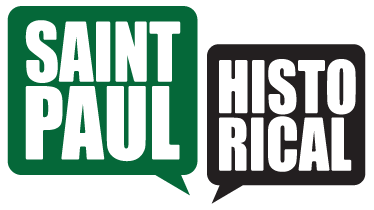 Video produced and directed by East End Productions., “West Side: An Introduction,” Saint Paul Historical, accessed April 21, 2019, https://saintpaulhistorical.com/items/show/155. To learn more about the historic photographs displayed in this story, visit the Minnesota Historical Society’s Collections Online To view this and other Saint Paul Historical videos, visit our YouTube channel!